Because We Must Always Remember - Almighty Father, your seeking servant prays for guidance. Immanuel Church-on-the-Hill is a Christian community in the Episcopal tradition, striving to be in relationship to God and to each other as Christ has taught us, actively attempting to sense and to serve God’s plan with great love. We are guided by the scripture passage in Mark 16:15, “Go ye into all the world and preach the gospel” to learn, discern and proclaim the good news by being active ministers in the various communities where we live and serve. Immanuel is where I work, where I live, and to whom I was called to serve. I am grateful for this community and for this ministry. This memorial window which adorned the 1881 Immanuel Chapel at Virginia Theological Seminary in Alexandria, VA, was lost in a fire in October 2010 which destroyed the chapel. The window is gone, but the call to mission and ministry remains! 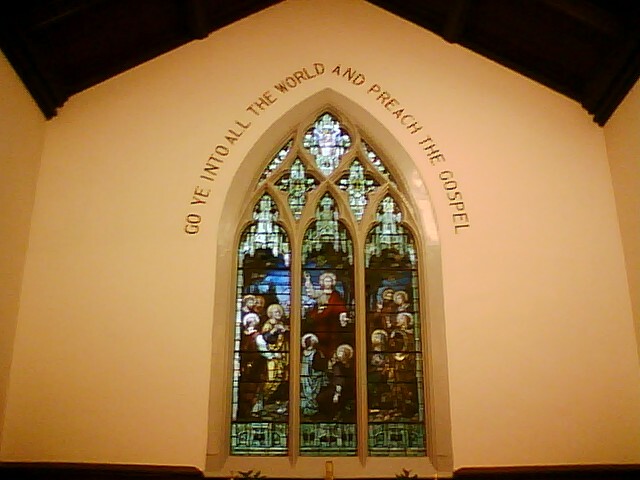 GO YE INTO ALL THE WORLD AND PREACH THE GOSPEL!